Ride away on the streets with style with this amazing electric scooter the Euro-style electric scooter from Razor. 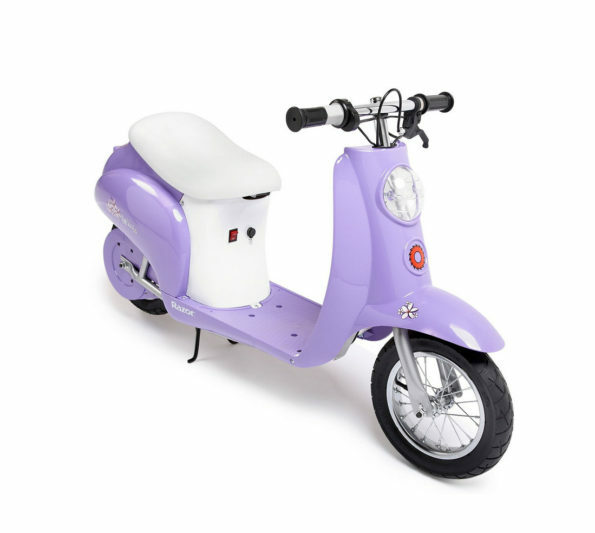 It has got high-performance, chain-driven electric motor and a vintage style body. The Razor contains pocket more which can reach the speed of up to 15 miles per hour which is more then sufficient for a quick ride. The razor scooter also has got retractable kickstand, variable-speed acceleration, a padded seat and pair of 12-inch pneumatic tires with a rear suspension system to ensure a comfortable ride. The battery goes up to 10 miles on a single charge.